While the final Casualty Toll may still not yet be known (information courtesy from ABC, CNN, HLN, and USA Today news reporting sources) Here is the latest from the scene. A Bad Day at Sea for sure, as I am saddened to report there were casualties associated with the January 13th, (Friday) evenings capsizing of the Costa Cruise Ship “Concordia” after it apparently had run aground merely hours after leaving port in Civitavecchia (Rome) at approximately 9:30pm local time, while many passengers were still in the midst of their first dinner aboard the luxury liner. Passengers tell of hearing loud Bangs, lights going out, and the ship beginning to list. The initial reports were that the ship was listing 20 degrees but expected to remain afloat (see photo below-left) but that the ship was being evacuated of some 4000 plus passengers and crew. First reports of injured numbered around a dozen which were mainly bruises and effects of being in the chilly waters, and some more serious in nature, but this number too may also rise. (click here to see video from ABC News.com). The Friday evenings Fatality Toll was initially reported as 6 deaths (but the latest count now stands at 25 confirmed fatalities) with seven more passengers and crew members still missing and/or are unaccounted for. Much of the confusion can be attributed to the many various locations which survivors were temporarily housed in schools, churches and other public buildings on the tiny coastal italian village of Giglio, which the passenger count alone outnumbered the town’s population of around 700(this time of year). I cannot help but think about how we all go through the repetitive and seemingly boring evacuation drills each time we board a cruise ship, only to have the “real thing” being faced by these unfortunate passengers and crew on that fatefull Friday first night at sea. One thing we know for sure now, is the inherent need for those safety evacuation drills. 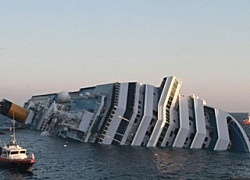 Italian authorities have called-off any further search for victims on the submerged portion of the stricken vessel, (due to the extreme danger to the divers), but will continue searching those portions of the capsized vessel that are above the water line. 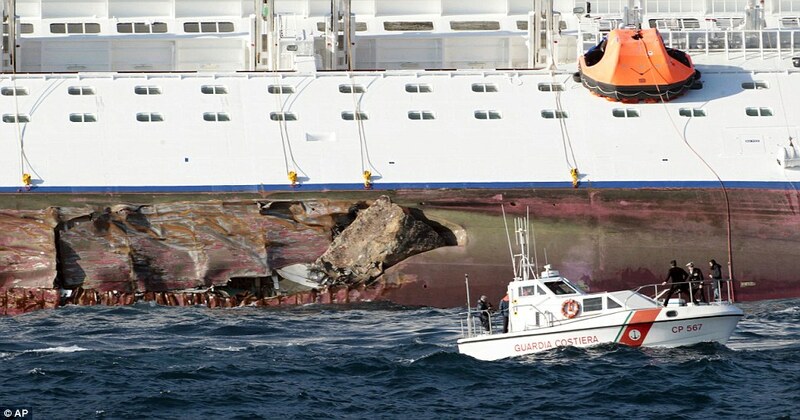 The ship which currently rests on its side, can be seen with a huge rock lodged in its hull (see right) as well as a large tear about 150 feet long. Salvage Experts estimates that it could take up to a year to complete the recovery and removal of the vessel from it’s current location while salvage efforts take place. There were about 130 U.S. passengers reportedly aboard the cruise ship, which all but two are believed rescued and have been transferred to locations in Rome, while arrangements for returning home can be planned. Eyewitness accounts from many of the surviving passengers speak of mass confusion and chaos during the evacuation period. As of (Thursday January 19th) there are only two American passengers unaccounted for, Jerry and Barbara Heil, from White Bear Lake, Minnesota. This incident will undoubtedly become very costly for Costa, as Crewmembers from the ill-fated voyage are already filing in court, seeking 100 million dollars from the Cruiseline. The company that owns costa has made an offer to surviving passengers of the ship at $14,000, plus travel expenses and a full refund of their cruise costs to each passenger. But, as late as the first of February at least one class action suit was filed in Florida, on behalf of a handfull of surviving passengers seeking several hundreds of millions (in punative and compensatory damages) for “gross neglect” as they (alledge in their) claim that passengers where left on their own to fend for themselves. 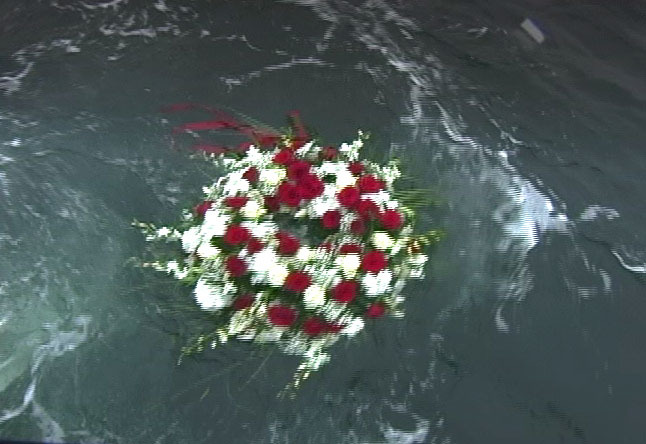 While Costa Lines has been busy cooperating in the ongoing investigation, search and rescue, and salvage efforts (trying to safely remove more than 500,000 gallons of fuel from the striken vessel) are taking place; they have also been providing lodging and refunds to surviving passengers, and others affected by the accident. The line says that they will be contacting each passenger, crew member, or their families to address personal possessions which may have been lost on-board. While some passengers and public relations experts have chastised Costa, along with her parent company Carnival Cruise Lines for being slow to address several aspects of the dissaster. The Ships Captain has been under house arrest since Tuesday after the January 13th mishap on multiple counts of Manslaughter, and for abandoning his vessel before the evacuation was complete. The U.S. Senate Commerce Committee will hold a hearing on safety and security measures on Thursday, March 1st at 10:00am EST. 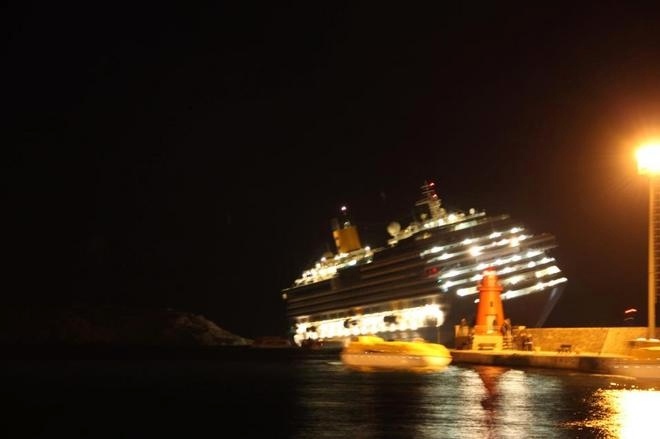 to review current maritime processes in light of this tragic incident involving the Costa Concordia. Our hearts and prayers go out to all those aboard as well as their families and loved ones during what must be a certainly trying and confusing time for them. CruisewithMike: Thanks for visiting our weblog for updated information on this continuing story or interest. You can contact Mike at email cruisewithmike@cruiseholidays.com or you can follow mike on twitter at http://www.twitter.com/cruisewithmike . Join our Travel Club at http://meetup.com/Sun-Cities-Travelers-Group/ Mikes web site can be found at www.mberryhill.cruiseholidays.com . This entry was posted in Breaking News Affecting the Travel World, Current News and Events and tagged Costa Concordia Sinking, Costa Cruise Ship Concordia. Bookmark the permalink. While current efforts are being concentrated on search and rescue operations. The entire world is presently focused on this breaking story. While we will not attempt to downplay nor upplay any of the details, rest assured that a full and complete investigation will be undertaken. While this particular Cruise Line is a foriegn concern, the entire Cruise World Family as a whole will be watching this story as it continues to unfold. It is at least gratifying to know that our own north American Cruise Lines, are some of the safest modes of travel that exist today. Such incidents only serve to re-enforce the need for strict conformity to Coast Guard required drills and musters which many of our Cruising Public think of as not worthy of our time, but as can be evidenced from this particular event, ARE SO VERY IMPORTANT. Our Hearts and Prayers go out to all who were aboard this ship, and we hope that all who survived this incident will find speedy recovery and safe return to their homes and loved ones! Many thanks for keeping your article updated with the latest information on this tragic accident. I appreciated your articles sentiment. It was informative, and tasteful, and your authored material is very stylish. Thanks for the post. I am grateful for your continued, and updated coverage of this tragic accident. I can only hope that now the environment can be adeqautely protected in the salvage efforts. We are a bunch of volunteers and starting a new scheme in our community. Your website offered us with useful information to work on. You have performed a formidable task and our whole group can be thankful to you. This is still a terribly sad story. Will the cruise public ever be enthusiastic about going on a cruise again?